Alfredo Barahona, originally from Cuzcatlan, a Maya – Pipil territory part of what is now known as El Salvador, moved to Canada as refugee in the mid-eighties. He has worked with refugee and migrant communities through Toronto-based settlement agencies and now with KAIROS Canadian Ecumenical Justice Initiatives. Currently Alfredo is working on Indigenous Rights issues focusing on the development of meaningful relationships and solidarity between Indigenous peoples and newcomers to Canada. Alfredo has facilitated the KAIROS Blanket Exercise (KBE) extensively in English and Spanish through all of Canada including training KBE facilitators. 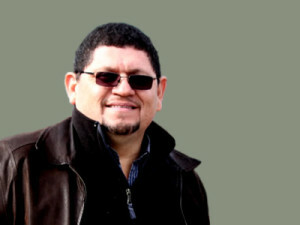 Alfredo is responsible for the international work related to the KAIROS Blanket Exercise. Facilitating the effective and meaningful participation of affected communities in advocacy and solidarity work is a key principle in Alfredo’s work. As a tool for social change, music within a faith ecumenical and solidarity context, is an integral part of Alfredo’s life and social justice work. Amelia is a recent graduate of the International Masters of Laws (LL.M) program at the University of Bristol. Her dissertation and studies concerned access to remedy for victims of human rights violations perpetrated by Canadian corporations, specifically mining companies. During her degree she was a researcher with the Human Rights Implementation Centre’s Law Clinic, gaining direct experience in advocacy. She has also done extensive fieldwork in South Africa, Peru, Guatemala, and Southwestern United States which has inspired her to work in the field of ecological justice after witnessing the lack of accountability to local communities surrounding resource extraction projects. Amelia is an outdoor enthusiast and in her spare time loves to cycle and go on long camping trips. Bonnie’s specific matrilineal ancestry is Secwepemc from St’uxwtews First Nation, located in what is now known as Interior BC. She has worked in Indigenous Education for the past 10 years with the Langley School District. Currently she facilitates reconciliation dialogue with a strong emphasis on shared history, stereotypes/biases, responsible ally-ship & advocacy for direct calls to action within her company Skelep Reconciliation. 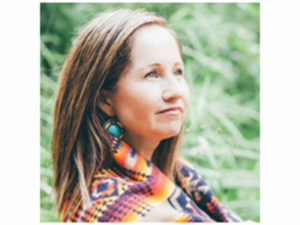 Bonnie holds an Indigenous Cultural Safety Facilitator Certificate from UBC Health and is a Building Bridges Collaborator with the Raven Institute. Bonnie is currently pursuing her MEd in Curriculum and Instruction at Simon Fraser University. 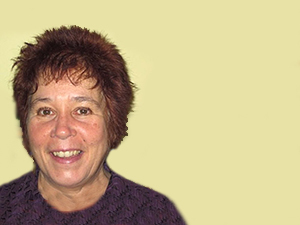 Prior to joining the KAIROS Blanket Exercise, Carole worked primarily in post-secondary education and international development – including peace and social justice in Mesoamerica as well as student success/accessibility at Canadian colleges and universities. Her educational background includes a BA in Latin American/Caribbean Studies (York), a MA in Education (OISE/UofT), and diplomas in counselling. 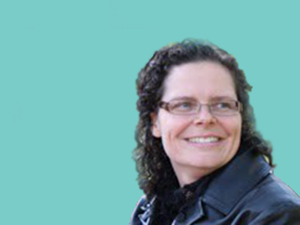 As a regional coordinator at the KBE, Carole works with both hosts and facilitators in the Southern Ontario region to administer the Blanket Exercise, prepare new KBE facilitators, and generally expand the program. The Southern Ontario region is bordered by Orillia (north), Oshawa (east), and the Great Lakes to the south and west. Cheyenne is a member of Mi’kmaq Nation in Wabanaki territory. She has over 15 years experience as a Registered Nurse, is certified in community health nursing, and has worked almost exclusively with Indigenous communities in Atlantic Canada. 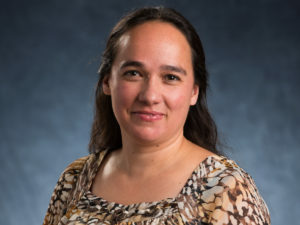 For the past five years, she has been a faculty member at the University of New Brunswick (UNB), helping to strengthen the nursing curriculum by embedding Indigenous wisdom and knowledge. 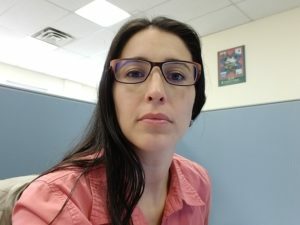 Cheyenne describes herself as “deeply connected to her Mi’kmaq heritage through Elders, ceremonies and cultural events, with an eye to curating a better future for the next seven generations,” and says she seizes every opportunity to be a positive and influential voice for reconciliation in Canada. Cheyenne works out of her home office in New Brunswick. Devora grew up in Regina where she completed a Bachelor of Arts in English Literature and a Bachelor of Education. Since her student days, she’s been volunteering and working in the non-profit / arts and culture sector, with experience in public libraries, provincial museums, national arts organizations, local music festivals and independent print and digital media. When Devora moved to Ottawa in 2005 she brought her organizational skills and love of spreadsheets to several grassroots initiatives, often in support of gender equality and Indigenous rights. She joined KAIROS in summer 2017 providing administrative services to the Ottawa team. When she’s not sifting through files, she’s exploring hiking trails or coffee shops in the NCC. Devora’s also passionate about fitness and teaches a bi-weekly strength-training class at her local gym. Prior to becoming KAIROS’ Program Manager in 2012, Ed coordinated KAIROS’ Indigenous Rights Program. This involved working with Indigenous peoples and their allies on domestic and international public education and action initiatives towards the recognition and enforcement of Indigenous peoples’ rights. KAIROS’ creation in 2001 brought together 10 social justice ecumenical coalitions, including the Aboriginal Rights Coalition (ARC), which brought together churches, religious organizations, Indigenous peoples and regional groups. 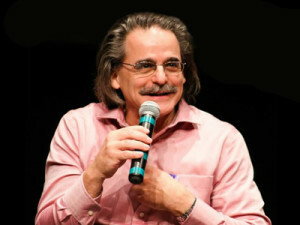 Ed was ARC’s National Coordinator from 1995 to 2001. Ed has a Bachelor of Journalism (Television) from Carleton University in Ottawa and is the first student at York University in Toronto to complete a combined-Masters Degree in Fine Arts (Film) and Environmental Studies. While in Toronto, Ed co-founded Friends of the Lubicon, a support group for the Lubicon Lake Cree First Nation in Alberta. Ed’s a hockey and soccer dad who lives in rinks and on pitches in Ottawa with his partner, Nancy, and their children, Graham, Gabriella and Robertson. 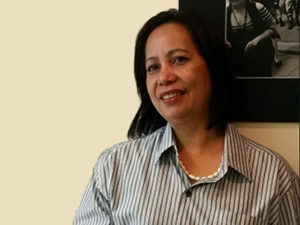 Fahira has served in many roles within KAIROS since joining in 2002. She currently holds the position of Donor Relations Coordinator. She enjoys the challenges of fundraising and believes in social justice. Fahira currently lives in Toronto with her husband and two daughters. Ginger Cote is Algonquin and Ojibway from the Kitigan Zibi Reserve just North of Ottawa. She is the KBE Coordinator for Eastern Ontario and Quebec at KAIROS Canada. Currently studying Law at Carleton University, she holds a Law Clerk Diploma from Centennial College and a Business Development Attestation from Heritage College. She has experience working with organizations that focus on Indigenous law and community building. Ginger has been part of the KBE Expansion Initiative almost since the very beginning. 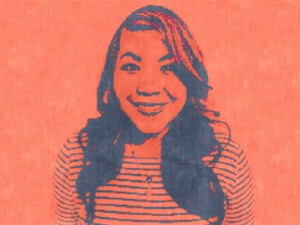 She was hired as the KBE Promotions Associate (East) during the Initiative’s first phase way back in April 2017, and in May 2018 we welcomed Ginger to the permanent half-time position of KBE Intake Associate. This job involved, among other things, receiving all KBE inquiries and requests, completing the initial processing of those requests, and then referring those requests to the Regional Coordinators. Ginger will continue in this role as she assumes the duties and responsibilities of the KBE Coordinator position. Giselle barely has the time to push pencils behind the solid walls of finance and administration at KAIROS. She enjoys working in the background, behind the epic scenes of the KAIROS day to day. While she may not have a green thumb like many of her colleagues, she really likes trees and plants. She’s known to love watching films and does not mind losing an excellent game of scrabble to a good opponent. On June of 2014 I moved to Canada with my husband and kids to start a new life. I found myself taking different courses to gain knowledge in the culture and in the business area. I started at KAIROS as an intern bringing support on the networking area and administrative area. today I am in the role as an administrative assistant supporting many KAIROS staff. When I’m not at work I enjoy spending time with my husband and my kids, making something new at home or just taking a walk and exploring a new place. 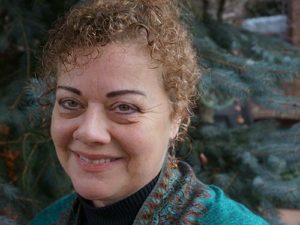 Jennifer Henry currently serves as the Executive Director of KAIROS: Canadian Ecumenical Justice Initiatives, a role she took on in 2012. She has worked in ecumenical social justice for 25 years, beginning in 1993 when she joined the Ecumenical Coalition for Economic Justice (ECEJ) as a popular education coordinator. Her time with ECEJ included coordinating a cross-country economic literacy program called “Building a Moral Economy,” and contributing leadership to the Canadian Ecumenical Jubilee Initiative. Within KAIROS, she has served in many roles from network and campaigns coordinator to the manager of teams focused on education and animation, organizational development, and human rights (Indigenous rights, gender and migrant justice). As manager of the global partnerships program, she played a significant role in coordinating KAIROS’ grassroots response to the CIDA defunding. Jennifer had the honour of being an ecumenical witness at six of the seven national events of the Truth and Reconciliation Commission. She has given leadership to the Board of the Canadian Council for International Cooperation, and currently serves on the Primate’s Commission on the Doctrine of Discovery, Reconciliation and Justice, and the Board of the Centre and Library of the Bible and Social Justice. She remains an activist and educator at heart. 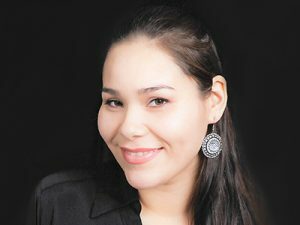 Raised in on Treaty 1 territory in Winnipeg, Jennifer has a Bachelor of Arts and a Bachelor of Social Work from the University of Manitoba, and a Masters of Social Work and a Masters in Theological Studies from the University of Toronto. Her Master’s thesis was entitled Contrite Hearts in Solidarity Action: Elements in a Settler Ally Biblical Theology She worships at the Church of the Holy Trinity, an Anglican Church in downtown Toronto, under the Dish with One Spoon Wampum Belt Covenant. 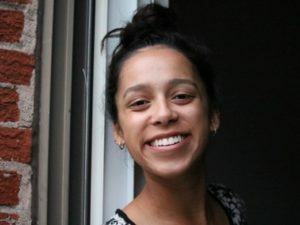 Jessica had been with KAIROS Canada facilitating KBEs in the Ottawa region since April 2018. As of January 2019, she has been in the Ottawa office coordinating the KBE requests for the province of Quebec. Jessica moved to Ottawa from Montreal to pursue her University studies. She holds a criminology and Sociology BA from the University of Ottawa and is currently completing her Master’s degree which focuses on different issues an Indigenous individual may face coming into contact with the Canadian Criminal Justice System. She hopes this will help to continue advocating for Indigenous rights. Having grown up in downtown Los Angeles I made my way to Toronto in 1998 after living long term in the Democratic Republic of the Congo (DRC) and Chad, and both master’s and doctoral studies as well as professional work in international development and agricultural extension in the Washington, DC area. I coordinate support for KAIROS ecumenical partners in the DRC and South Sudan as well as African regional and sub-regional climate and mining justice partners. My passions also run to, among other things, a just transition to a fossil free economy and mining justice that does not externalize human rights and environmental costs, and honours the principle of free, prior and informed consent for all affected peoples embodied in the United National Declaration of Rights for Indigenous Peoples in the global North and South. 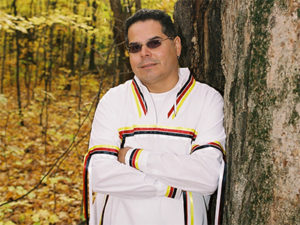 John Henri Commanda is Ojibway and a member of the Eagle Clan. He is an inter-generational survivor of the Indian Residential School System, and a survivor of the 60’s Scoop. While employed in the federal public service for almost 36 years, John Henri was active on a number of committees dedicated to enhancing Indigenous rights and creating equal opportunities under the Employment Equity Act. He was elected as the first Chairperson of the Aboriginal Employees Network within the Aboriginal Employees’ Circle of Employment & Social Development Canada (ESDC), which was launched in December 2010. During his tenure as Chair, he also served as Co-chair of the Champions & Chairs Circle for Aboriginal People, the national employment equity committee representing Aboriginal Employee Networks from 40 departments, agencies and organizations. Its mission was to identify areas where the federal public service could improve or enhance opportunities for First Nations, Métis and Inuit people through the creation of Aboriginal-specific programming, initiatives or activities throughout the public service. 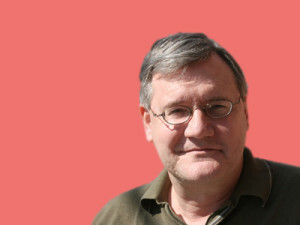 John Henri has also been a union activist for more than 30 years. As a facilitator with the Public Service Alliance of Canada (PSAC), and ESDC, John Henri led cultural awareness training courses, workshops and information sessions for a variety of audiences within the federal public service and the union movement. 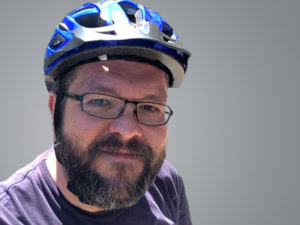 In 2015, he received the PSAC Community Race Relations award for his work in cross cultural awareness training and for advocating on behalf of designated groups under the Employment Equity Act in the National Capital Region (NCR). John Henri is an active member of the Indigenous community in the NCR. As well as being on the Odawa Native Friendship Centre Board of Directors, he served as its President from 2012-2013. He was also President of the Sault Ste. Marie Indian Friendship Centre from 1995 – 2000. Dynamic and goal-oriented, Liliana Svartman has helmed financial operations across not-for-profit organizations as well as manufacturing industries in Canada, US and |Europe. Her understanding of the dynamics between organizational objectives and accounting practices has served her well in the last 20 years. As the Finance Manager at KAIROS, Liliana brings leadership to the finance function, in support of the organizational strategic vision. In this role, Liliana has overhauled internal financial processes, creating controls, establishing and implementing finance procedures. In her spare time she enjoys camping, canoeing and cooking with her family. Lorraine Bellegarde is a member of the Peepeekisis First Nation, Treaty Four, in Saskatchewan. Lorraine has a certificate in Adult Education from St. Francis Xavier University in Antigonish, Nova Scotia, a Real Property Administrator Diploma from the Building Owners and Managers Institute in Arnold, Maryland, and a Certificate in Administration from the University of Regina. 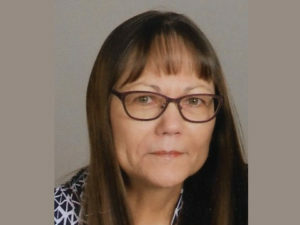 In December, Lorraine retired from Canada Mortgage and Housing Corporation, where she was responsible for the delivery of all CMHC First Nations Housing Programs in Saskatchewan, and the primary contact with First Nations communities. Among other tasks, this job involved negotiating and implementing skills development initiatives and building relationships with community leadership, Tribal Councils, and other First Nations organizations, Indigenous Affairs, and Health Canada. While working for the First Nations Housing National Office in Ottawa, Lorraine led a team that updated the First Nations Housing Curriculum. She also worked with regional colleagues across the country on a plan for First Nations capacity and training as it relates to housing resources. As Senior Advisor with Assisted Housing Saskatchewan, Lorrine was a member of the Regional Assisted Housing Team, CMHC representative on the Urban Aboriginal Strategy, and also Co-chair of the National Aboriginal Capacity Development team. She provided corporate direction, support and mentoring, advocated and promoted CMHC’s role and successes in the resolution of Aboriginal housing issues, supervised and monitored the delivery of the Housing Internship Initiative for First Nations and Inuit Youth programs, fostered and developed working relationships with Regional Indian and Northern Affairs Canada, Health Canada, the Federation of Saskatchewan Indian Nations, and all eight Tribal Councils, to collectively and effectively deliver the Aboriginal capacity budget, and planned, delivered and administered the Aboriginal Capacity Development budget to First Nations of Saskatchewan, both on and off reserve. She also chaired the committee responsible for the development and implementation of housing curriculum for First Nation students on reserve, “My Home is My Tipi”. Paige Jarvis holds an honours BA in Global Development studies from Queen’s University and is a recent graduate of the Fundraising Management program at Humber College. Paige brings both local and global experience – in Guatemala with Mercado Global, and with several organizations in Toronto, including Engineers without Borders, as well as language skills in French. Rachel is the program coordinator for the Gender Justice and Women of Courage Programs, and Latin American Partnerships. 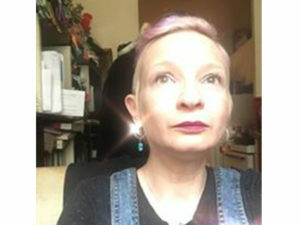 She has been involved in the human rights and social justice work of the churches for over 20 years and in solidarity and social justice movements for much longer, starting with the anti apartheid and divestment movement and the Nicaraguan solidarity movement in high school and university. 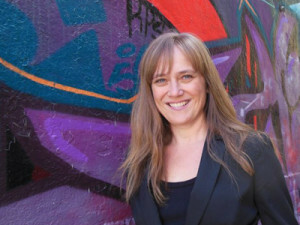 She holds an honours degree in International Development Studies from the University of Toronto, and a graduate certificate Gender and Peacebuilding from the University of Peace of the United Nations in Costa Rica. Rachel is an experienced Popular and Adult Educator and fearless flute player and member of the Fallen Angles musical group. Finally, but most importantly to her, she is the mother of two beautiful, wise, compassionate and independent young women. 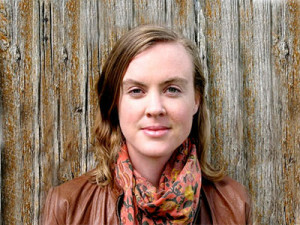 Sara Anderson comes from a mixed background of German Mennonite and Métis ancestry. 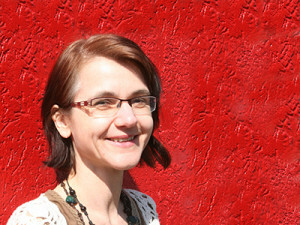 Originally from Kitchener-Waterloo (Block 2 of the Haldimand Tract – an ongoing land claim by the Six Nations of the Grand River), as a teenager Sara was deeply involved in the broader Anabaptist community with a focus on social justice initiatives, with a particular focus on issues pertaining to refugees and newcomers to Canada. More recently, she has embarked upon a journey of reconnection with her Métis heritage, and is now involved with urban Indigenous community in Ottawa (unceded and unsurrendered Algonquin territory). 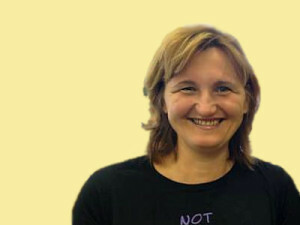 Currently she serves as a Blanket Exercise Regional Coordinator – Central in the Ottawa office of KAIROS. 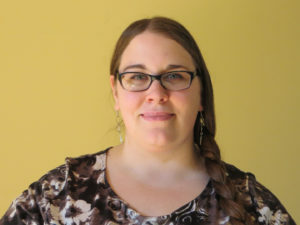 Sara holds honours degrees in Global Studies and French from Wilfrid Laurier University, and has recently completed a MA in Canadian & Indigenous Studies along with a Post-Graduate Diploma in Indigenous Policy & Administration from Carleton University. My role at KAIROS is to support the work of the grassroots across the country and to maintain the link to the churches in all the justice work. I give workshops and develop worship resources related to all areas of KAIROS work. When I’m not at work I enjoy exploring the city with my partner and children, especially the green spaces on my bicycle. 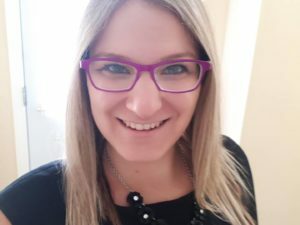 Siobhan started out as a teacher and taught elementary, secondary and adult students everything from Spanish to Biology to Phys Ed in schools in Ontario, Grenada and Kiribati. Along the way, her participation in a variety of social movements gave her the opportunity to become involved in amazing work with amazing people. 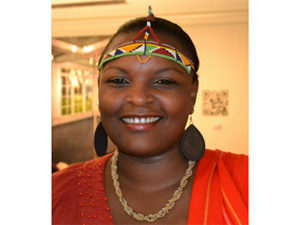 Eventually, her work in education changed focus and she became immersed in the work of Development and Peace, first as a member/volunteer and then as Regional Animator and later, Education Programs Coordinator. Siobhan has worked with KAIROS’ fundraising and communications staff as Organizational Development team manager since January 2014. 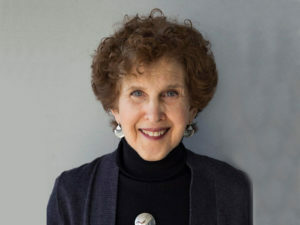 Susan serves as Board Relations Associate—working with KAIROS board chair and executive, maintaining board policy manual, correspondence and corporate records, coordinating the “Spirited Reflections” project and other special projects. Previously she managed development projects in Africa with Presbyterian World Service and Development (PWS&D), and prior to that coordinated global health education and awareness programming at the University of South Florida. 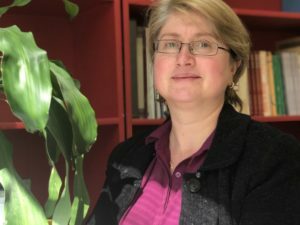 She has focussed on global health, gender, HIV and AIDS and human rights in her work with international development organizations, including faith-based, non-government, universities, colleges in Canada and abroad. Susan plays piano jazz and enjoys international music. 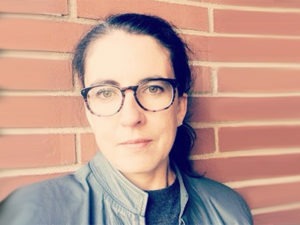 In her personal time, she has supported gender, human rights and climate change actions and attends Royal York Road United Church in Toronto (actively supporting KAIROS). 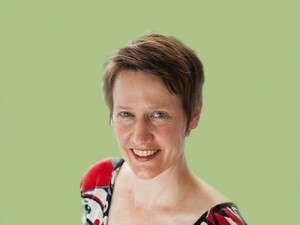 Zoë Aarden has a B.A.H. and a Master’s Degree in Indigenous Studies from Trent University and has worked and volunteered in Indigenous communities for over 17 years. 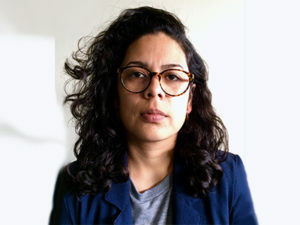 Her thesis “Sexing the Indian: Scholarships’ Role in the Consolidation of Colonial Structures of Gender and Sexuality”, was opted for publication in 2006. As an active ally for many years, Zoë is very comfortable in Indigenous communities and being with Indigenous people. She understands her role as an ally is to provide support and to take direction. Prior to facilitating KBEs, Zoë was for 9 years a Project Manager/Coordinator with Elsevier Canada.